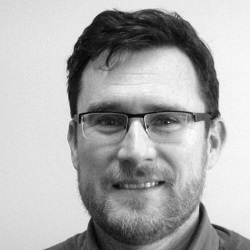 Mr Joshua Murphy joined HE2RO in October 2015 as a Research Project Manager on the Evaluation of National Adherence Guidelines in South Africa. He is a behavioural scientist with over 10 years experience in public health programme implementation as well as quantitative and qualitative research. He holds a BA in Psychology from Tufts University and a Masters in Public Health from the University of North Carolina – Chapel Hill in the US. Prior to joining HE2RO Josh worked for the Anova Health Institute as Strategic Information Manager. There he conducted operational research, support of TIER.Net in public-sector health facilities and novel data visualisation towards strengthening the South African Health System. Josh has substantial experience writing successful awards for large PEPFAR-USAID grants. He has also worked on a pre-exposure prophylaxis clinical trial with Family Health International in Kenya, South Africa and Tanzania with a focus on adherence counselling and qualitative research from 2007-2009. Josh has co-authored peer-reviewed articles in PloS One, Globalization and Health and the Southern African Journal of HIV Medicine. In his free time, he enjoys walking with his wife Julie, son Cole and dog Maya.